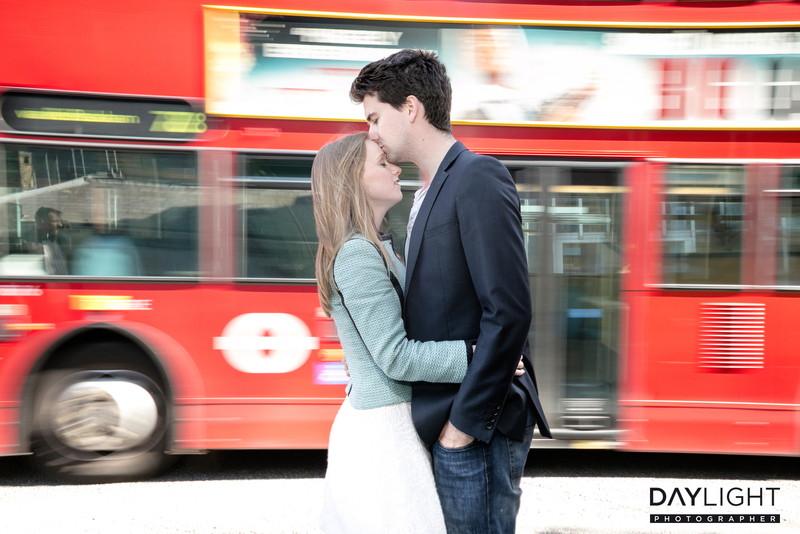 Even though London isn’t the city of love, it’s still worth travelling there to have a photoshoot. 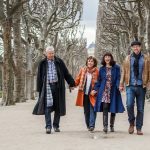 London is a multifaceted city brimming with life: whether you’re a romantic at heart looking for the perfect location to have your picture taken with your beloved or a group of friends looking for a fun experience, this city has something in store for everyone. 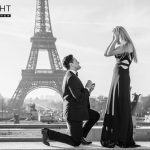 Whatever you want out of your photoshoot, our photographers know the right location, be it your wedding proposal, a wedding photoshoot or your honeymoon. Our team customizes the photoshoot according to your wishes and knows just where to take you to get the right effect. Have you already booked your flight to London? 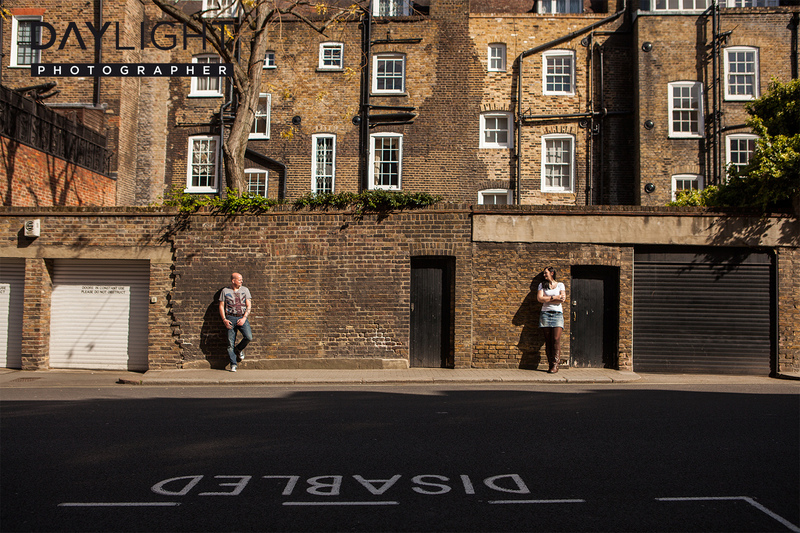 If you already know when you’re coming to London, you can book your photoshoot right here, right now. London is an international metropolis; tourists flock here during all seasons to be enchanted by the capital of the United Kingdom. It gets especially crowded during summer, so hurry up if you’re still looking to book a photoshoot! 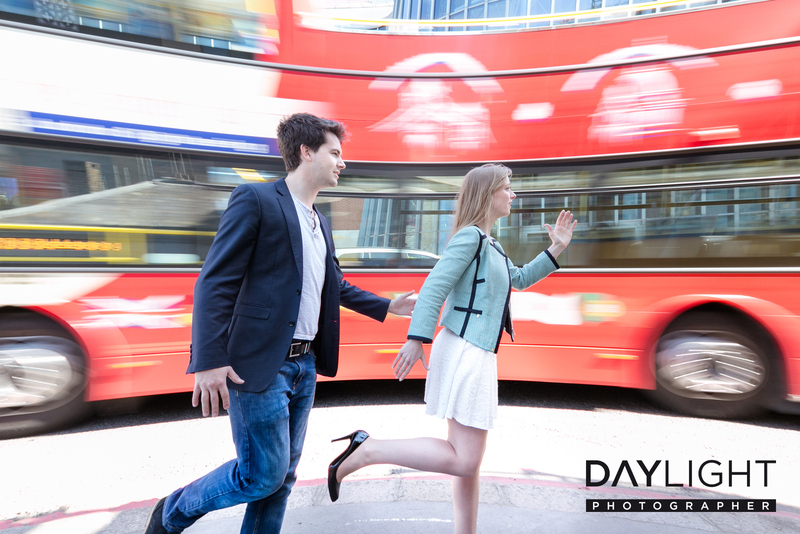 You should schedule 1.5 hours for a photoshoot with Daylightphotographer; London is huge, and time flies when you’re having fun, so you should plan ahead and agree on a route with your photographer. If you like you can choose one of our suggestions which take about 1.5 hours each, or even book two of them and make it a 3 hours photoshoot! You can always at locations to your chosen route. 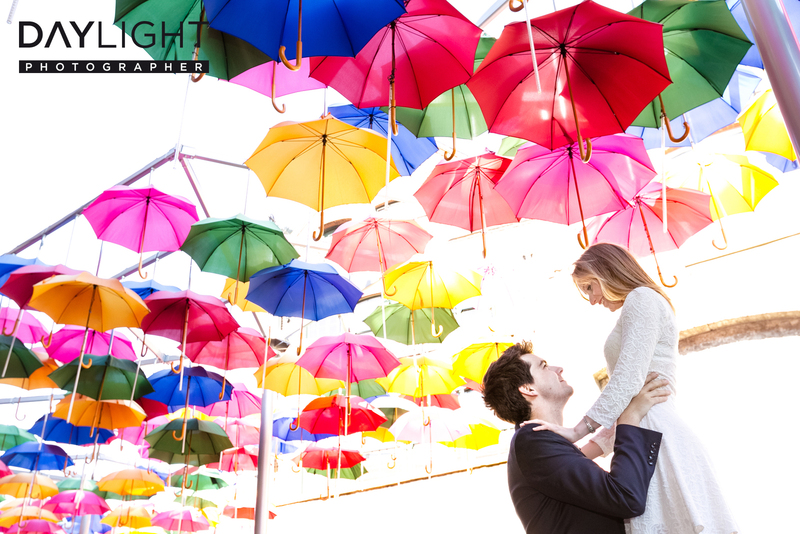 Our photographers know the best locations for outdoor photoshoots in London and how to make you stand out. 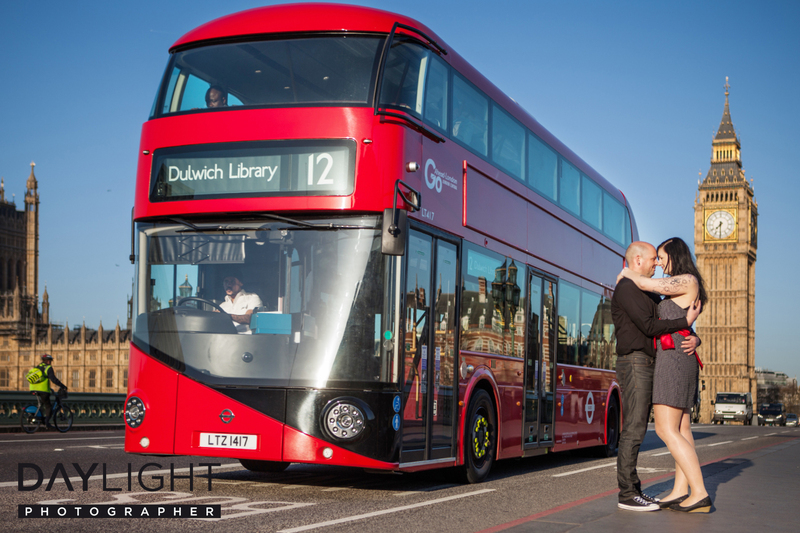 Even when dealing with tourist magnets such as St. Paul’s Church, Millenium Bridge, Tower Bridge and other famous sights in London, they know exactly how to choose the right time and the right angle. You should plan to spend about 1.5 hours with our photographer; our photoshoots take place early in the morning, just after sunrise. 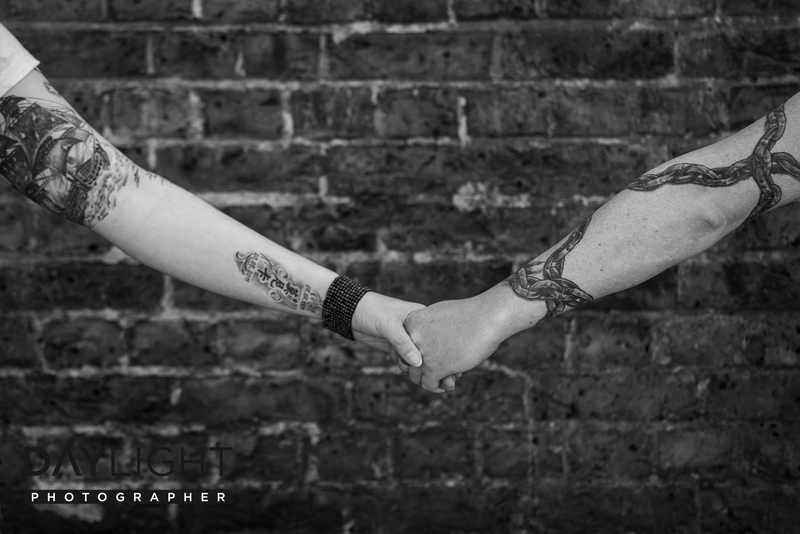 The time of day may vary depending on the photoshoot you book, but don’t worry, your photographer will give you all the info you need way ahead of time. 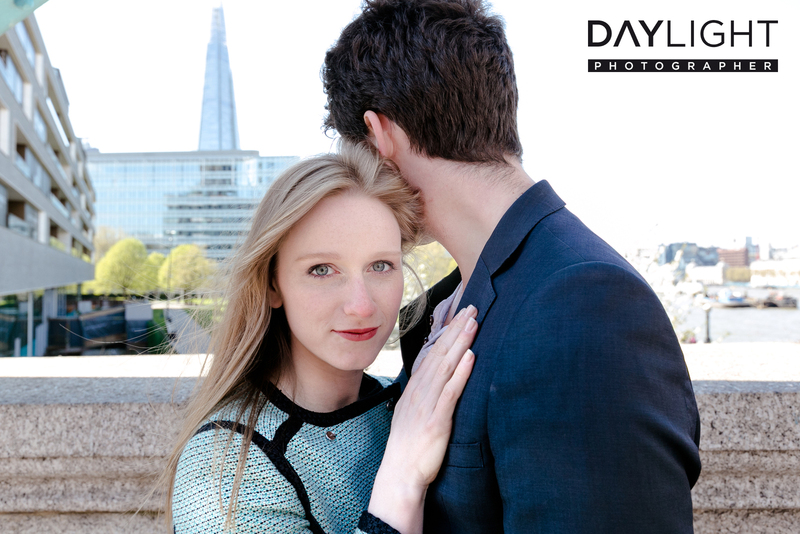 Choose the date for your photoshoot in London by clicking on it.